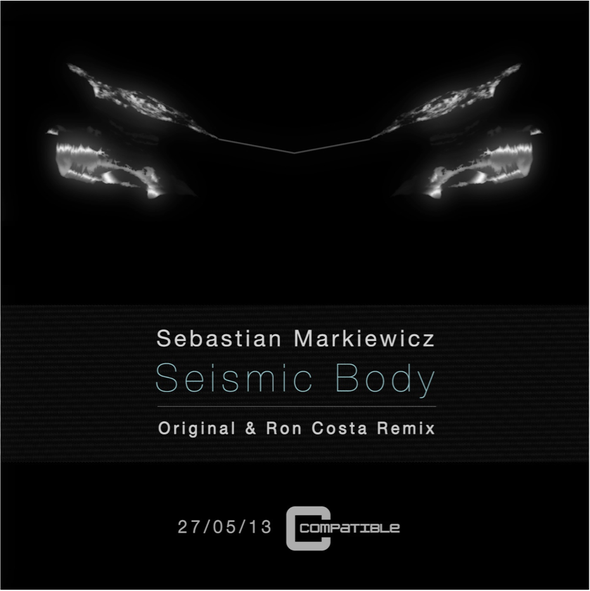 Sebastian Markiewicz returns to his Compatible Music imprint this May with ‘Seismic Body’, featuring a remix from French producer Ron Costa. Hailing from the coast of Poland, now based in Manchester in the UK, since the move Sebastian has studied electronic music and sound engineering, honing in on the craft and learning the fundamentals, which led to the deep and hypnotic style he’s now formed. 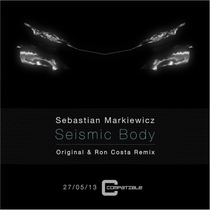 Here Sebastian moves forward with his newly launched Compatible Music label, also welcoming Ron Costa to the label on remix duties. The release opens with the original version of ‘Seismic Body’, a brooding techno cut with a blooming atmospheric intro, the groove is eased in around the one and a half minute mark, introducing crunchy drums alongside a gritty saw wave bass hook, and off-kilter percussion. The result is a moody, raw cut, that could do some damage in the early hours of a dark club. On the B-side, Poker Flat, Sci + Tec and Trapez artist Ron Costa turns in a rework of ‘Seismic Body’, keeping the drums simple yet effective, and playing on the penetrating bass, dubbing things out with elongated delays, a bulbous subby bass and subtle filter automation to add impact at the drops. It’s out May 27, check it out below.